Can you believe it? 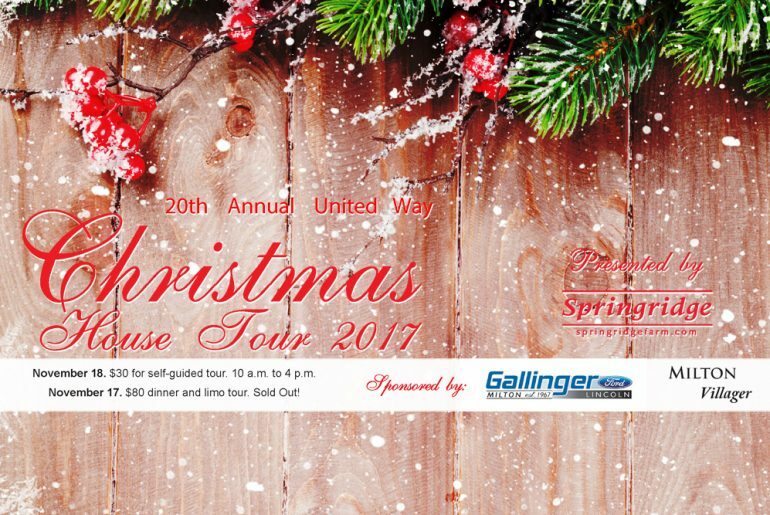 This year it’s the 20th annual Milton Christmas House Tour for United Way. Styles and homes may have changed over 20 years but one thing hasn’t – for many of us Christmas holds a special place in our lives and as do the traditions that we form around it. Since 1987 the Milton Christmas House Tour has become an annual event to kick off the holiday season and showcase the fresh, new ideas in Christmas décor. “Carefully crafted over time the Milton Christmas House Tour, like your family Christmas, is a hybrid of old and new,” Susan Jones Commitee Chair said. What is old? Can you imagine this. The then Town and Country Christmas House Tour began in 1987 and Springridge Farm joined forces shortly after when Friday night was added. Initially it was an outdoor BBQ in November and weather being as it is in November the dinner eventually was moved indoors, for which we are very grateful! Now nearly 20 years later Springridge decorates the barn with twinkling lights and music, friends meet and gather around the harvest tables for dinner excited to begin the tour. The energy is fantastic. Limos are arriving to take friends on a moonlit tour and return them to the farm for h’ordeuvres and even a little shopping. This signature event now kicks off the Christmas season at Springridge and it’s a long term partnership that is a reflection of how local businesses can invest back in the community and benefit in return. We are truly grateful. New? Well, new twists are a must. In fact, interior stylist Kasia Waloszczyk, a regular design expert on The Marilyn Denis Show on CTV takes that to a whole different level. She brings a film crew to the home to create her TV segment which airs late November. Her work is stunning and morphs to suit the style of every home we match her with. Proceeds from the event support over 20 Milton programs. While United Way Milton has amalgamated with other neighbouring United Way chapters to become United Way Halton & Hamilton, Milton’s needs will continue to be met as they always have been and funds raised in Milton stay in Milton. How to collect your Complimentary Ticket? Present your completed quiz at Southside Paint & Wallpaper in the Metro Plaza to collect your 4th ticket when you purchase 3. Follow us on Facebook @ChristmasHouseTour.uwhh for more sneak peaks, decorator tips and pictures from last year that you can copy at your home. In honour of the 20th year, test your knowledge with this 20th Anniversary Quiz. You could get one Saturday ticket free when you purchase three. Where has the Friday night limo tour always been hosted? What year was the first Milton Christmas House Tour? What year was your first house tour? Who was your favourite or most popular exterior decorator? What was the name of the local décor shop that used to be downtown, a fan fav on the tour? What was the original name of the tour? 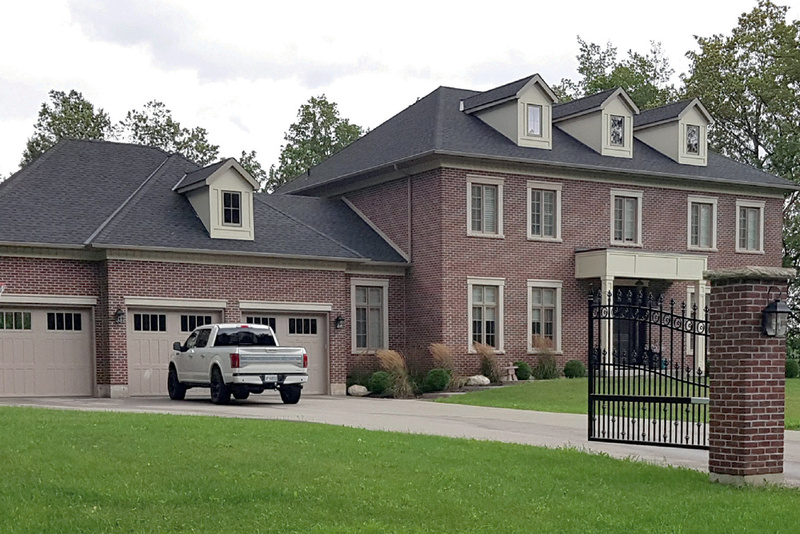 How much money has the house tour raised for United Way Milton over 20 years? Where will you buy your ticket for this year’s event?